Only the strongest wills can stalk evil into the heart of darkness without succumbing to its temptations. Maiev Shadowsong knows that all too well. Before the War of the Ancients, Maiev Shadowsong was a senior priestess among the night elves, a remarkable achievement for one not of noble blood. The brutality and chaos of the Burning Legion’s invasion affected her deeply, and she came to believe that swift, decisive action was the only answer to looming threats. 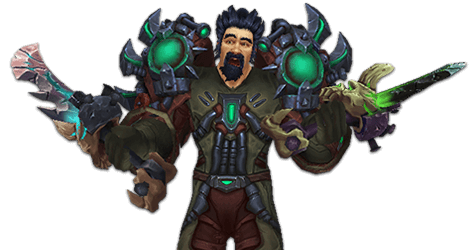 When Illidan the Betrayer’s life was spared for eternal imprisonment in lieu of death, she was enraged, but she offered to serve as his jailor until the end of his days. She recruited other priestesses to help her, and thus the Watchers were formed, an order that swore to protect night elf society against evil. After Illidan escaped his barrow prison, Warden Shadowsong set off to hunt him down. Many of her Watchers perished along the way, but her will never faltered. Her belief in order and justice carried her through astonishing hardships, including capture at Illidan’s hands, and she was there the day the Betrayer died. Maiev’s uncompromising sense of duty leaves no room for discussion. For her, any action that combats evil is justified. This has brought her into conflict with even the highest levels of night elf society. 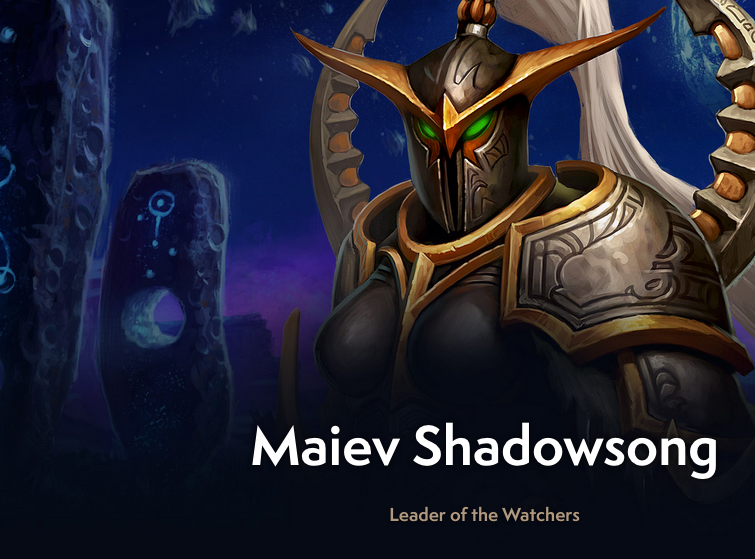 Despite this tension, Maiev remains dedicated to protecting the world and her people. She spends much of her time safeguarding the Vault of the Wardens, an ancient prison that holds Illidan’s body and some of his feared demon hunter servants.